Arctic News: Extreme weather becomes the norm - what can you do? Extreme weather becomes the norm - what can you do? while one figure turns to me in panic and pain, uttering nothing but a silent scream . . .
Torrential rains in some regions are causing massive floods while in other locales record droughts are occurring with higher frequency and severity and areal extent around the globe. Global food production is being hit hard, leading to large price increases and political instability. Areas under drought are experiencing numerous massive forest fires of incredible ferocity. The statistics of extreme weather events have changed for the worst due to changes in the location, speed, and waviness of the jet streams which guide weather patterns and separate cold and dry northern air from warm and moist southern air. 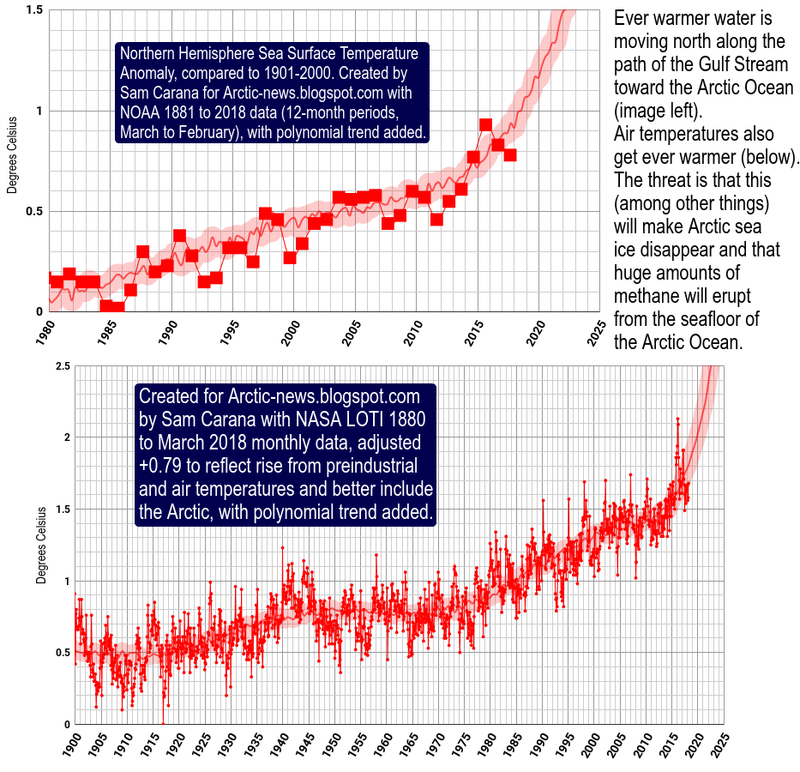 The jet streams have changed since the equator to north-pole temperature difference has decreased due to the huge temperature rise in the Arctic. The huge temperature rise in the Arctic is due to a collapse in the area of highly reflective snow and ice, which is caused by melting. 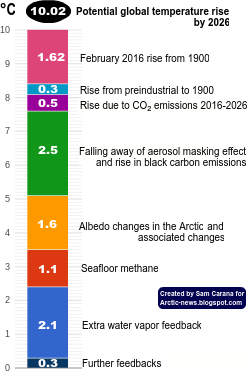 The melting is from warming from the increase of greenhouse gases from fossil fuel burning. The Arctic sea ice and spring snow cover will vanish within a few years and the weather extremes will increase at least 10x.